Defender Manny Smith has signed a fresh 12-month contract to remain at Wrexham in 2015-16. 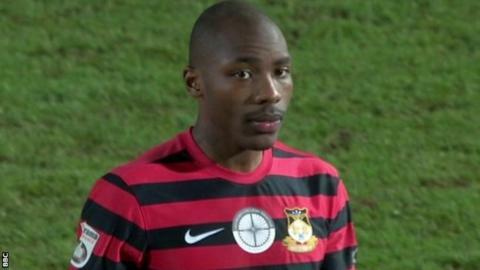 Smith, 26, was the only played every minute of all 61 competitive Wrexham games in 2014-15. New manager Garry Mills has ensured Smith will have the chance to repeat that feat in next season's Conference Premier campaign. "I'm very happy it's all finally sorted and we have been able to get the paperwork finished," said Smith. "When I first joined last year, my aim was to help get this club back into the Football League and I feel we're going along the right path towards that aim. "I want to help get this club up and play a big part in it."